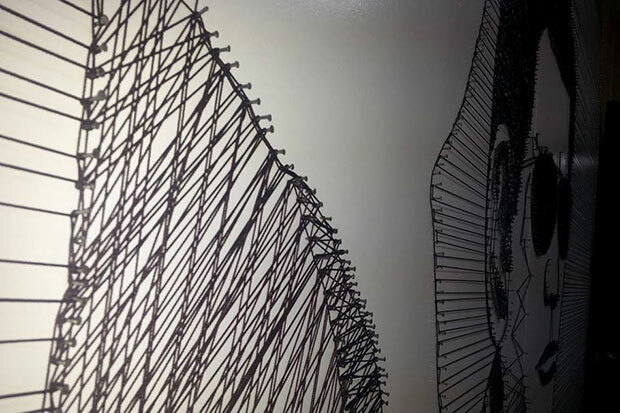 The artist uses only nails and fishnet twine to create a portrait of President Rody Duterte which is now gaining attention at a mini-museum in Tunga, Leyte. 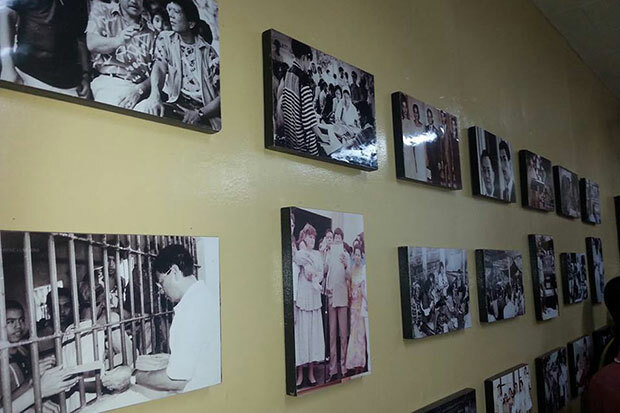 The work of art serves as the center of attention of the Leyte Electric Cooperative III (Leyeco III) mini-museum and could be viewed at the Du30 Room, in which the President presented a speech last year’s guest of honor in the cooperative’s membership assembly. 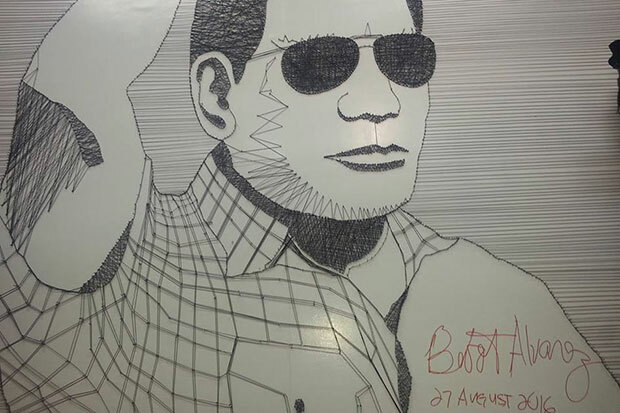 Allan Laniba who is the Leyeco III general manager , maker of the cross-hatched portrait, said his work of art represents Duterte’s simple lifestyle and commitment of societal change. “Nag-isip lang ako ano kaya ‘yung pwedeng art na simple siya, as simple as the President but bago siya kasi pagbabago, diba,” said Laniba. The designer also mentioned that the fishnet twine he employed is a single, uncut line, as a symbol of national oneness. “That twine, connected talaga, isa lang yan. May isang matanggal d’yan sira na ‘yan lahat,” he said. 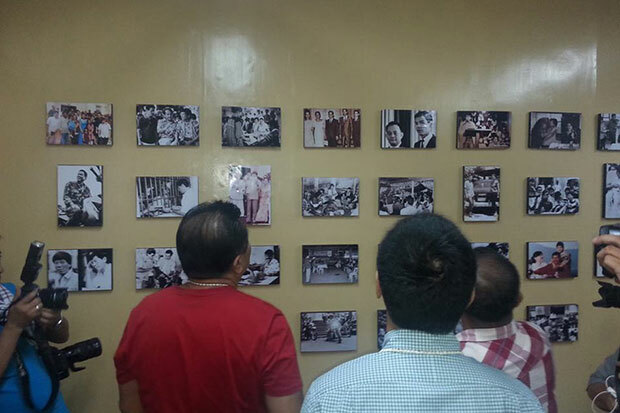 It was on Saturday that the DU30 Room in the Leyco III mini-museum got inaugurated led by Speaker of the House Pantaleon Alvarez. Apart from the artwork portrait of the President were several photos of him wearing the same clothes in different events. “Wala nag-mind kung ano ‘yung damit niya. Sometimes, pabalik-balik na pala ‘yung damit niya”, Laniba said, highlighting Duterte’s simplicity. A model of the piece of art that Laniba gave President Duterte in the leader’s visit a year ago is also exhibited inside the room.